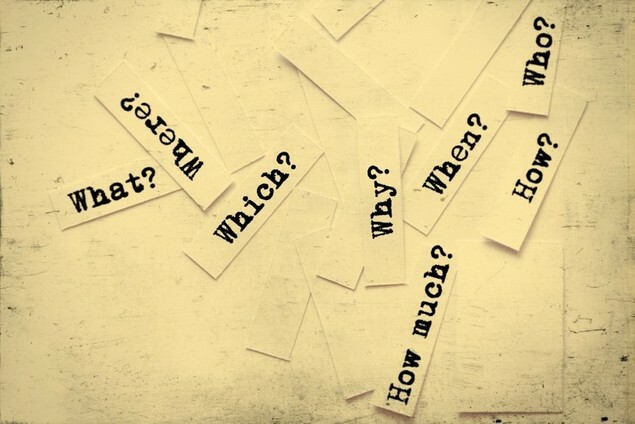 If there’s a question you have that’s not on the list – make sure you ask it! There’s a lot to consider when it comes to making a decision about which college you’d like to attend. While every student’s preferences are different, there are some basic questions which apply to most prospective students. Considering these factors (and deciding which of them are important to you and which are not) can help you decide whether or not a school should be on your list. You can use the following list of questions as a guide to find the answers you’re looking for about potential schools – but, if there’s a question you have that’s not on the list – make sure you add it, too. Most of these answers can be found through research (online, etc. ), speaking with the school’s administration (on tours, college interviews and by contacting them directly), current students and alumni. Here’s a list of questions to help you begin to examine different aspects of a potential college. Academics are obviously the most important factor in any college you decide upon. While you may be unsure of which major or focus you’d like to pursue, you should be able to determine the strength of certain departments you’re thinking about, along with other more general factors like faculty, class size and available degree options. •	What types of degrees are offered? •	Is there an option to take on a minor? •	Do they have strong programs in my potential majors/minors? •	What’s the size of the student population? • What's the size of each incoming freshmen class? •	What are the typical class sizes? •	What’s the student-faculty ratio? •	Are classes taught by faculty or teaching assistants? •	Is the faculty renowned within the studies I’m considering? •	Does the school offer study abroad programs I like? •	Would I be able to study abroad given my major? •	What is the required curriculum for incoming freshmen? While you can continue to apply for scholarships and seek out student loans if necessary, you don’t want to graduate with more student debt than you can handle! •	How much is tuition? • This refers to the general sticker price. •	What do typical student costs outside of tuition look like? • Think of housing, meal plans, books, etc. • How much is it to live in a residence hall at this school? • How much is a typical meal plan at this school? • How much do student typically spend on books each semester? •	Do they offer financial assistance packages for most students? •	Do they have any scholarships available to me? •	Could I afford to attend this school without scholarships or financial aid? A school’s location can make or break your college experience. For example, if you cannot afford to head home for the holidays, that’s an important aspect to be aware of. Likewise, if you can’t stand the weather half the year, that’s something to keep in mind. •	What’s the location like? •	Do I want a rural or urban setting? •	What’s the weather like during the school year? •	Do I like the surrounding areas – cities, etc? •	How far is it from home? •	Will I go home too much if I’m close by? •	Do I want to be closer or further away from home? •	How much will it cost to visit home? • Will this cost be burdensome during holidays, breaks, etc? •	Is the community surrounding the campus considered safe? •	What is the transportation situation (buses, trains, biking, etc.)? •	Will I be able to easily get to class by walking, biking, taking the bus, etc.? There are so many facets to campus life, and you’ll likely have more questions that pertain to you specifically. These are just some of the common factors to consider – the rest is up to you to decide what matters! •	What are the resources like at this school? • Think: libraries, labs, computers, gym, medical facilities, career centers, etc. •	What types of benefits are offered to students? • Consider aspects like medical visits, gym access, etc. •	What are the housing options like? • Think outside of dorms if you would like to live off-campus at some point. •	Can the residence halls accommodate my special dietary needs? •	What is the student body like? • Do I get the sense that I’d fit in well with the students here? • Does this seem like a school that pushes academics, partying or a good balance? •	Does this school have a specific religious affiliation? • If so, is this something I would enjoy or would not enjoy? • Will the school’s religious focus make me more or less comfortable on campus? •	If the school's religious focus differs from your own, is there somewhere on or near campus I’m able to celebrate my personal religion? •	What do they offer in terms of social life? • Student clubs, extracurricular activities and Greek organizations, etc. • How many students typically participate in these organizations? •	How strong is the presence of Greek organizations on campus? • Is this important to me, either way? •	Is there a strong presence of school spirit? • Is this important to me? •	Is the campus considered safe? •	What safety precautions does the college take to ensure students’ safety on campus? This may seem like it’s far off, but you want to consider career potential and assistance in any college. •	What types of programs do they have to help with internship opportunities, career planning and development? •	Does my major/department help place students with internship/career prospects? •	Do students find that the college career center beneficial to most students? •	What benefits does the colleges career center provide? •	Do students typically find a job upon graduation? • Does the school assist with this? •	Is there a strong alumni presence to network post-graduation? Take all college rankings and statistics with a grain of salt – not every school is an Ivy, but it doesn’t mean it’s not going to give you a great education! •	What’s the typical graduation rate? •	What is the reputation/ranking of this college? •	What is the median GPA at the school? •	Where will I likely rank in my class – top or bottom tier? •	Based on my GPA and standardized test scores, is admission realistic? • Most college websites list average grades, etc. of admitted students. Remember, one opinion doesn’t always reflect the majority, so try to ask several students their opinions to get a better sense of the views on campus! •	How would you rate your overall experience at this college? •	What do you enjoy most/least about this school? •	How would you rate your experiences with faculty? •	How would you rate the food on campus? •	How would you rate the campus facilities? •	How would you rate the residence halls? •	Do you enjoy aspects of student life on campus? If so, which? •	Is the campus easy to navigate? •	How far do you typically have to walk/bike/etc. to get to your classes? •	How would you rate X major/department/program? •	Is it difficult to get into preferred courses? •	What do you wish you had known that you feel an incoming student can benefit from? Again, one person's opinion shouldn’t change or alter your view of any school. Try to speak to as many people as you are able to get a better sense of how alumni view the school. •	How would you rate your overall experience at this college? •	What did you most like/dislike about this school? •	How difficult was it to find a job in your given field after graduating? •	Did you take on any internships? Did the school help you find yours? •	Did you have the opportunity to study abroad? • If so, what was your experience like? •	Is there anything you wish you’d known before attending this college? •	If you were considering colleges, would you still choose to attend this school? •	How involved are the alumni associations? How are they involved?